direct reading, that means reading the colour geerated by the chemical reaction in the same incubation cuvette ad then washing it automatically to be reused. 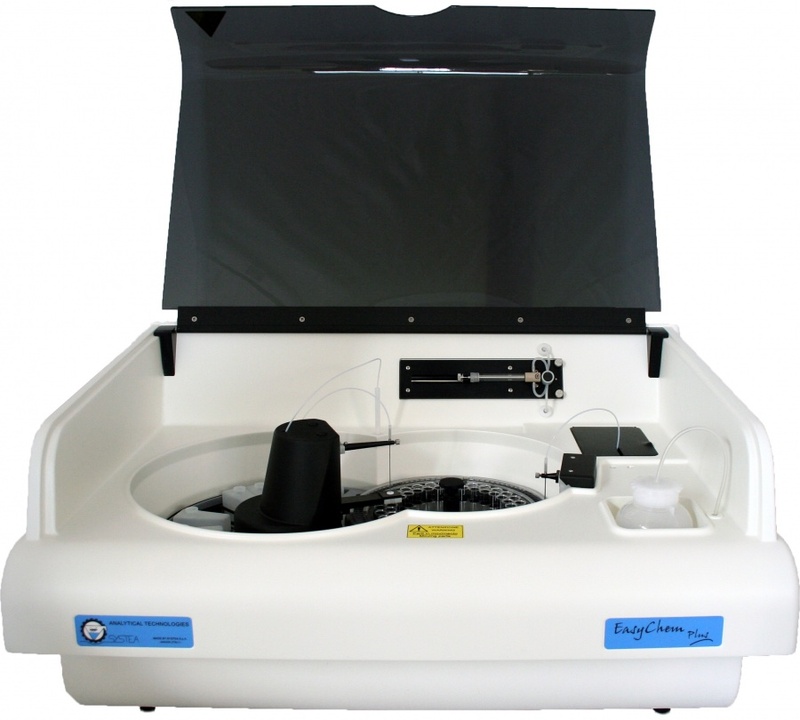 The first operating mode allows to use different flow-cell lengths, including a long 50 mm one suitable to perform reproducible and accurate measurement of trace compounds in drinking ad sea water; the product based on this technology is named Easychem Plus. The second operation mode allows a better productivity and speed of measurement; the main model based on this technology is named Easychem 200. 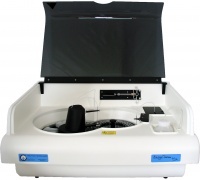 The line of analyzers is managed by a unique proprietary software allowing a complete configuration and management of data named Fusion. .
We have recently developed a line of on-line aalyzers based on the direct reading, named as Eaychem on-line.